The best Chevrolet auto repair service and maintenance in the greater Elizabeth PA area can be found at Elizabeth Auto Care. We are the only Chevrolet repairs and maintenance shop that offers the knowledge, experience, and factory warranty approved parts to make sure the job is done right. Elizabeth Auto Care offers the services you can trust to take care of your Chevrolet vehicle, and we have turned up some things you should know about Chevrolet service items. Why Choose Elizabeth Auto Care for Chevrolet Repairs and Service? Over the years, we have developed a very strong reputation for providing fast, complete, and on-time auto repairs that are backed by a 2 year/24,000 mile Nationwide warranty. You can call our auto repair center or simply bring in your Chevrolet vehicle to our shop for maintenance or repair. Our technicians and staff work quickly to identify and address the issues affecting your Chevrolet car, SUV, or truck. The mechanic assigned to your vehicle is fully qualified, experienced, and will complete the service in a timely manner so you can be on your way quickly. Elizabeth Auto Care specializes in Chevy vehicles that are known for being reliable and durable. Every vehicle will need servicing or repair from time to time which is why we encourage you to make our auto repair shop a regular stop to help keep your vehicle on the road. We offer a number of reasons why our car repair and maintenance are the best for your Chevrolet vehicle. The ASE certification means that the mechanic who works on your Chevrolet vehicle is fully qualified. 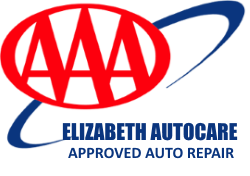 It takes a special effort to receive an ASE certification which is why Elizabeth Auto Care is your first choice for maintenance and repair of Chevrolet vehicles. Our 2 year/24,000 mile warranty is good across all 50 states. 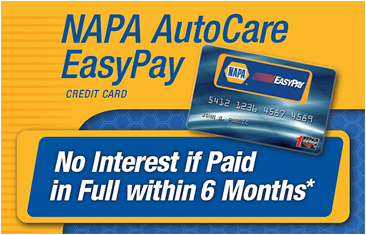 This means that if your Chevrolet breaks down caused by a failed repair service, the labor and serviced parts will be covered for free at the over 14,000 NAPA Auto Care centers across the country. Call the 800 number on the back of your invoice to be directed to the nearest NAPA center. If you need transportation when your Chevy is being serviced, we can provide a free loaner vehicle for your needs, just ask us. We have the experience and mechanics that will provide you with the best in car repair services for all the current models of Chevrolet cars, trucks, and SUVs. We also offer auto repair services on older Chevrolet models that may be out of production. If you live in the greater Elizabeth PA area and are looking for the best auto repair and maintenance services for your Chevrolet, call the experts at Elizabeth Auto Care. We offer the best in car repair and maintenance services all for a low, competitive price.